Ever on the lookout for ways to set their homes apart in the marketplace, Cook Residential discovered an easy stand-out step last year. 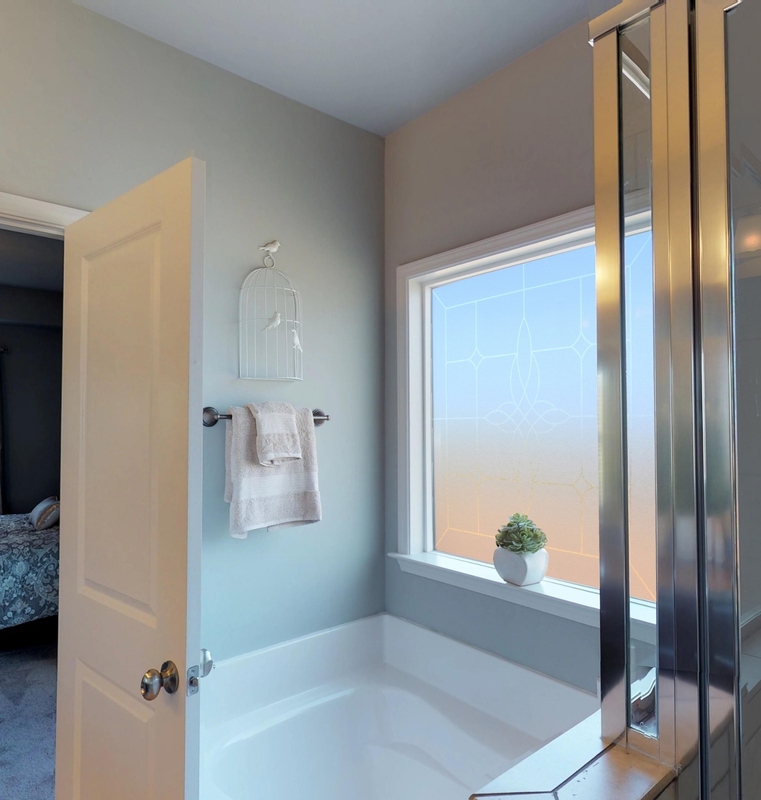 By replacing the clear glass window in their master bathrooms with a privacy glass window, the family-owned company has taken another step ahead of their competition. "No other builders or communities in our area are offering these privacy windows as standard features, so it helps give us another leg up on the competition from a sales standpoint," says Amanda Groover, director of marketing for Cook Residential. "Due to its versatility in design, we selected the Aurora window from Hy-Lite for our master bathroom settings. We're getting really good feedback, including comments from homebuyers about how they appreciate such a stylish and innovative way to help protect their privacy." Much like the famed Aurora Borealis (also called the northern lights), the Aurora Bath-Lite® Series window allows streams of light to filter into a room. The eye-catching design features an intricate pattern of blocks and miniature diamonds surrounding an interwoven fluid design in the center of the window. "Oftentimes people think windows are just windows, but they're wrong," says Groover. "It's great to be able to offer an alternative window that adds a special touch to the private bathroom setting." With homes constructed throughout northeast Georgia, Cook Residential plans to build more than 100 homes with Hy-Lite privacy windows in 2017. While the Aurora is a no-cost added standard window feature for the master bathroom, the company also offers the Mission and Baroque style windows from the Home Designer Collection as upgrade options. "It's all about matching up the style of the window people gravitate toward with their home style," says Groover. "While the Aurora designs works beautifully for most homeowners, we like having the options of Mission and Baroque that fit the particularly discriminating design needs of other homebuyers. "Overall, our customers have loved the chance to have privacy windows in their homes. We've seen a great response. People truly appreciate the opportunity to replace clear pane windows with decorative windows. "Gone are the hassles with window treatments in the absolute most 'private' room in the home. Our homebuyers gain both style and privacy with these decorative glass windows."